SpongeBob Nonstick Cake Pan only $5.99 w/ Free Shipping! 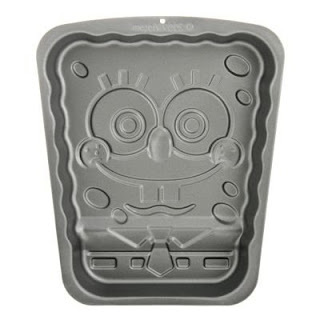 Right now at Amazon, you can get this cute SpongeBob Squarepants nonstick cake pan for only $5.99 shipped! It is made of aluminum and is 10" high; 2" deep; 8.5" wide at top; 7" wide at base.